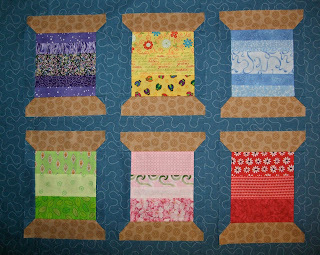 Cupcakes 'n Daisies: Another Spools-Along Sew-Along Update . . . 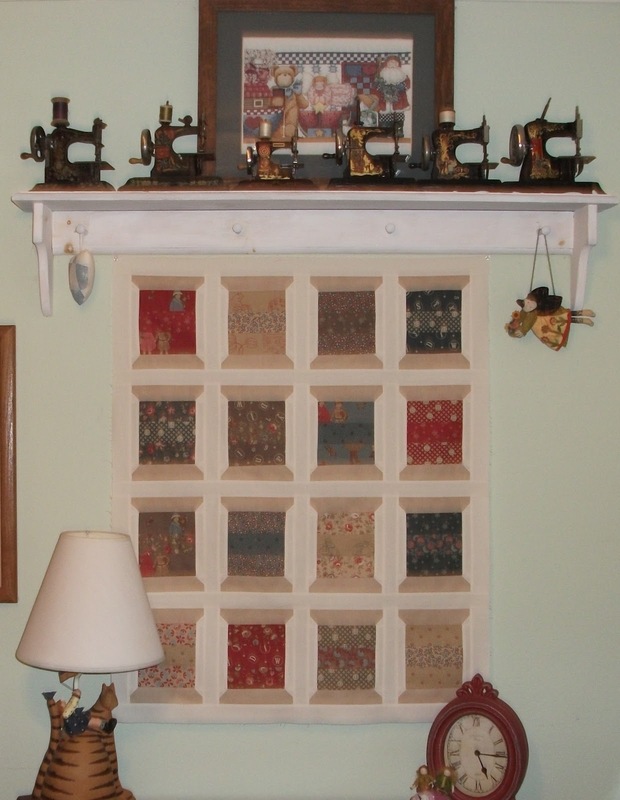 So here's what my design wall looks like, I'm back to working on Spools. 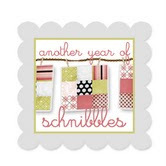 (Spools was designed by Camille Rosekelley for thimble blossoms) My plan is to keep working on this project until it's done, no more interruptions! 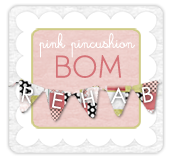 hmmmm, I seem to be a little heavy on the pinks and reds . . . . Here are some more Spools projects. This is by Sally at Chocolate Chip Addict. I love that dark background, those spools really pop! I also like how Sally varied the size of the "thread" strips. She plans to add a few more spools, I can't wait to see it all done. 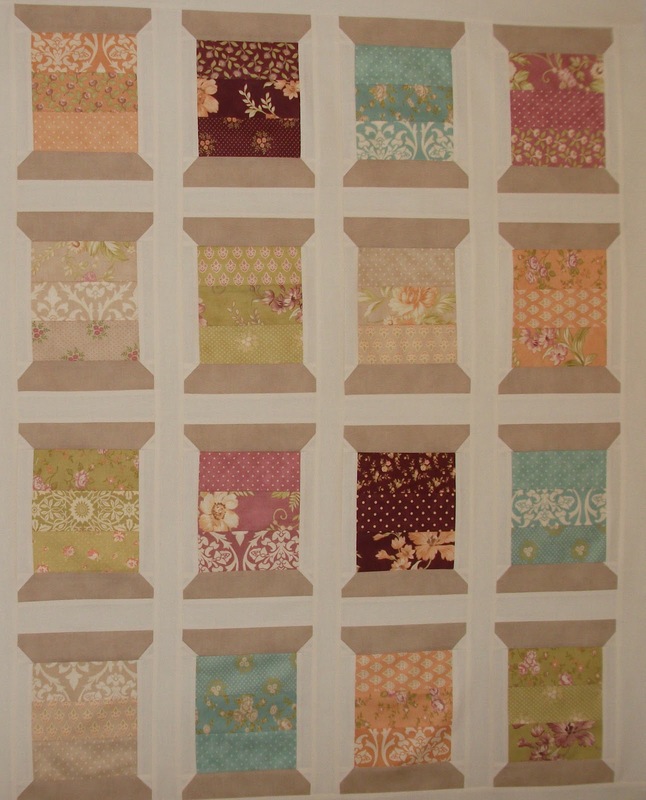 Sue at Cozy Little Quilts has finished TWO Spools projects. This one is made from Petite Odile by French General for Moda. This one is made from Fig and Plum by Fig Tree for Moda. 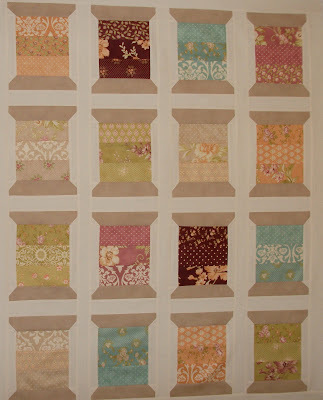 Lisa, Stashmaster, finished her Spools, did you see it? Nicole, Sisters Choice, has the same issue as Sue, one is not enough! Have you caught Spools fever yet? Come join us! I love spools! 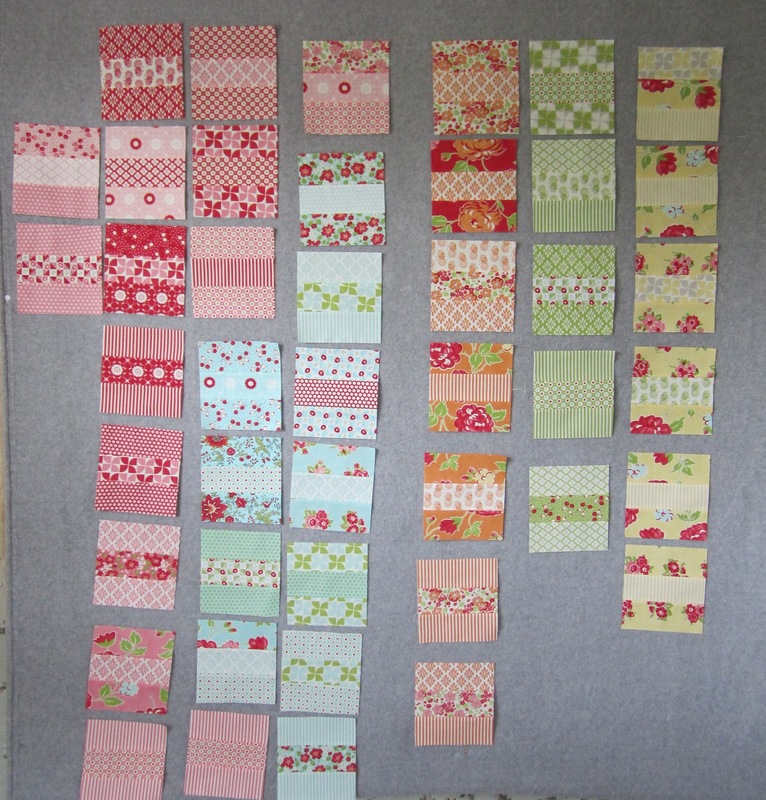 It look like the perfect pattern to use up scraps too. I couldn't even begin to pick a favorite, they're all so pretty! Your colours are beautiful and will look great in this pattern. Keep going! The Petite Odile one is fantastic! Using the straight layout rather than the stagger is appropriate for the fabric choice. I am enjoying seeing all the variations! I agree, one is not enough! Beautiful spools! I've been so inspired by all the fun spools that I ordered the pattern and I'm hoping to get it tomorrow. I don't think I'll get it together in time to participate, but I'm excited to have a fun new pattern to enjoy :-) Thanks! Your spools are looking so pretty. I love the Petite Odile and Fig and Plum versions. This pattern really seems to show off fabric very well.